Friends, family, followers; we have some exciting news to share about the upcoming broadcasts on Butterfly Dreams Talk Radio!!! This blog will share all the new shows and our updates on the website, including our brand new online store where items you purchase fund our services as well as provide year end donations to other great organizations who are helping on a much larger scale. Be sure to browse through here to see who you know coming to our network!! Rachel has an M.A. in Psychology Counseling and her expertise lies in helping survivors of sexual abuse find their inner peace, let go of the pain, and learn to live in their own true light. It is a huge honor to welcome her to the broadcasting team on our network. You will not be disappointed with her skills, gentle nature, and a keen understanding about the aftermath we carry. Be sure to click the link above to set your ‘REMINDER’, ‘LIKE’ & ‘FOLLOW’ all of the programming. Make no mistake we are one of the best on these issues broadcasting today. Our shows began after I had spent 10 months doing radio for another organization and then decided I wanted to create something truly special and bring many topics to our society for discussion, so began the creation of Butterfly Dreams Abuse Recovery & Butterfly Dreams Talk Radio. In our first year out we have reached a phenomenal 38,819 listens to our 158 broadcasts. How is that for a first year on air??? We are interested also in finding a male radio host , who has some background in research, press, and ready to bring the amazing male voice to share their perspective. Most definitely our shows are broadcasted to bring awareness, prevention and healing for Men & Women; Teens & Adults. However I truly believe that a male voice on our network would complete our circle of fabulous talent. If you are interested in joining the team as a volunteer, either as a broadcasting host or as a social media assistant, send me over an email to butterflydreams@charter.net – be sure to tag ‘Host’ or ‘Volunteer’ in your subject line so that I can take a look at your information. Trish continues to broadcast on Monday & Wednesday evenings. However our show on Monday; ‘A Family Affair’ is based on removing the taboo of these topics and empower our youth, broken parents, and society in general to finally get comfortable in speaking about these topics. In learning together about the trained human behaviors against our loved ones and our children which have been going on for centuries, we can begin to give a positive voice to our children. When we are comfortable learning about the Warning Signs of Sexual Abuse, Maltreatment, and Family Violence, then our children will feel more confident when speaking against the family who is harming them. Yes, our children know that if a stranger attacks them it’s alright to make a police report and go to the hospital for a forensic exam, which is a process of collecting the evidence left behind by your perpetrator and used to gain justice in our court system. However, when it comes to those in our family, which in truth parents are 94.6% of all offenders when it comes to sexual mistreatment, physical and emotional cruelty, neglect and harassment of children. We teach them to tolerate the one who rapes and molests them; to accept the beatings because they are bad and deserve it; to laugh off the crude comments about being ‘stupid’ or ‘worthless’, ‘ugly’, ‘fat’, ‘lazy’, ‘useless’. We teach them to protect their attacker and remain silent about what really happens in their home. We teach them tolerance and acceptance which leads to dysfunction, self destructive behaviors, self harm, and self loathing for the acts they are forced to take part. To our younger generations, I am telling you today that these types of brutal crimes most certainly are not to be tolerated. It is not your fault they treat you in this manner. You absolutely have a HUMAN RIGHT to safety, especially in your own home. For all victims of these crimes, please take note of the THREE EMERGENCY RESPONSE STEPS which I do hope you will follow and encourage your friends to follow through with if they have been attacked, even in their home. 2) DO NOT SHOWER, DO NOT CHANGE CLOTHES – YOUR BODY IS EVIDENCE OF A CRIME. You will need a forensic exam to document the attack and collect the evidence to prosecute your attacker. 3) MAKE A POLICE REPORT!!! Our justice system cannot prosecute the offenders until we make a complete police report. I know its hard to imagine making a report against your family or parents, but the truth is the truth and often our parents can be the most dangerous people in the world for a child. Think of what we force our children to tolerate and even to take part in disgusting vile acts of sexual perversion, which many now broadcast through webcam or other service, while they charge money for others to watch. How can a parent do these acts and still expect to be protected from our justice system? A parent loves and nurtures their child. A parent should guide and protect their children, not force them to do unspeakable acts of sadistic sexual perversion for the pleasure of others or for their own pleasure. We can no longer teach our children silence & tolerance. This will only allow the destruction of another generation of human beings and a continued acceptance, which could end up invading the lives of your own children later in life. Michal Madison will be brining back her show ‘Creative Resilience’ which will broadcast once every month, so please watch for an event notice. Also, Dr. Brenda will be back with us again as a guest host, so we will be sharing an event reminder on this excellent show as well. Well, I guess this takes care of this part of our news right now, but be sure to check back often or visit our website for more information and things you can do to help prevent these types of soul destructive abuses within our family circles. We can teach our children to believe in their value as human beings and stand up to be a voice for the rights of others. 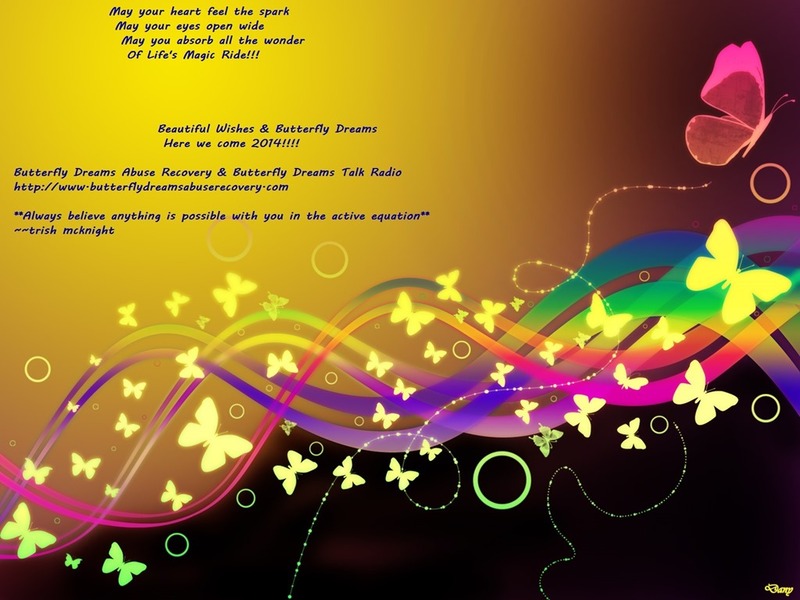 Enjoy your week and hope you are ready for an exciting beginning to our New Year of Broadcasting on the Butterfly Dreams Talk Radio Network, a ‘FEATURED’ broadcast on the blog talk radio network. 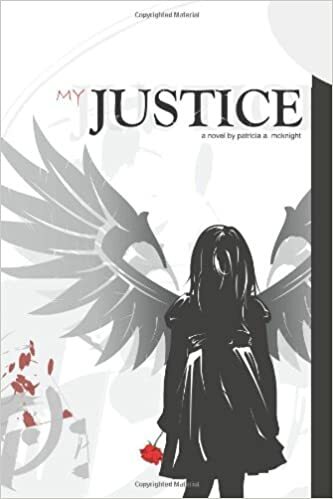 Authorhouse.com, Amazon, Barne’s & Nobel – get your copy of ‘My Justice’ an incredible FIVE STAR READ, which has reached collegiate levels for upcoming family therapists, counselors, educators. 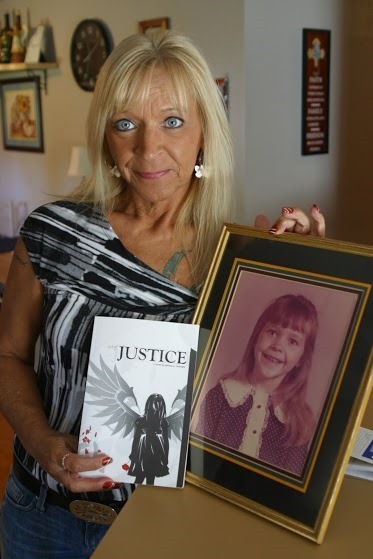 Compared to be as powerful and touching as ‘A Child Called It’ a New York Times Best Seller written by another amazing survivor, Mr. Dave Pelzer.